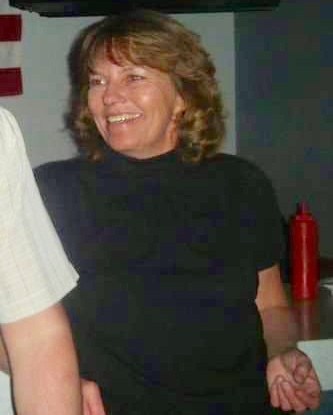 Denise Darlene (Baker) Henke Hurst age 58 of Canton passed away following a lengthy battle with cancer on Sunday January 6, 2019. She was born in Akron, Ohio on May 16, 1960 to Harold and Josephine (Bedford) Baker – Bates. She was employed as a manager at Goodwill in Canton. She worked at Hills, MRDD, and as a care giver, all in Canton. She loved to collect “Winnie the Pooh” and helping family and friends. She was admired and respected so much by her coworkers they would go out of their way to find various pooh items for her collection. She is preceded in death by her husband, Duane Henke; her parents, Harry and Josephine Bates; two brothers-in-law, Paul “Butch” and Donald Henke; her brothers, Harold and Donald Baker and her sister, Elizabeth Baker. She is survived by her children, Jason and Aaron Baker, Brian and Crystal Henke, Paul and Ashley Henke, and Amanda Henke; her siblings, John and Susan Baker, Cheryl and Gary Pritt, Frank and Rita Bates, Gloria Keylor, Johnny and Alice Bates, Martin Poole, Michelle Baker and Marlene Baker; and her grandchildren, who she loved and adored (who knew her as Memaw) Lindsay, Brian Jr, Josh, Devin, Dustin, Kylee, Vanessa, Brooke, Brandon, Benjamin, Hunter, Emelia, Sophia, Teghan, Mariah and Jeremiah. She will be dearly missed by her loving family who will cherish her memory for years to come. There will be a celebration of her life Saturday, January 19th from 3 – 11 PM at VFW Post #3747, 1935 Avalon Ave NE, Canton, Ohio. The family would like to thank everyone for all help with her medical care.